John Wall scored 33 points to go along with 11 assists but it wouldn’t be enough as the Raptors beat the Wizards, 113-103, behind 40 points from DeMar DeRozan. The loss is a pretty upsetting considering Marcin Gortat was calling the home opener a “must win” game. Unlike the first two games, the Wizards got out to an early 27-15 lead in this one behind the hot shooting from Bradley Beal. But lo and behold, the bench would come in and the lead would quickly shrink to two, 29-27 at the end of the first quarter. Otto Porter scored 23 points to go along with 13 rebounds highlighted by a series in the second quarter where he scored on three straight cuts to the basket. Even with the poor play from the bench, the Wizards still led, 56-54 at halftime. DeMar DeRozan was unstoppable tonight and did plenty of damage in the third quarter where he scored 15 of his game-high 40 points. Neither Bradley Beal nor Otto Porter had an answer for him on defense. The Wizards held tough though. The Wizards stayed in this one due to the play of John Wall. Wall picked Lowry’s pocket and took it coast to coast for a layup to tie the game at 92 midway through the fourth quarter. The Wizards wouldn’t have an answer as DeRozan would hit several key shots down the stretch to propel the Raptors to victory, 113-103. The Wizards were just 3-10 from three-point range tonight with all of their deep balls coming in the first half. Bradley Beal and Markieff Morris were the only Wizards players to make a three-pointer tonight. The Wizards continue to shoot fewer three’s this year and are making them at a lower rate. The Wizards committed 20 turnovers including nine from John Wall. Many of the turnovers tonight were on cross-court and lazy passes. In reality, the Wizards probably had no business being in this game with their 20 turnovers. Otto scored 23 points on 11-13 shooting with one of his misses coming on a desperation three as the game was already out of hand. Otto did most of his damage in the paint tonight and specifically, on cuts to the basket. Wall was able to find Otto, and Otto converted. Let’s hope he can continue this type of play going forward. 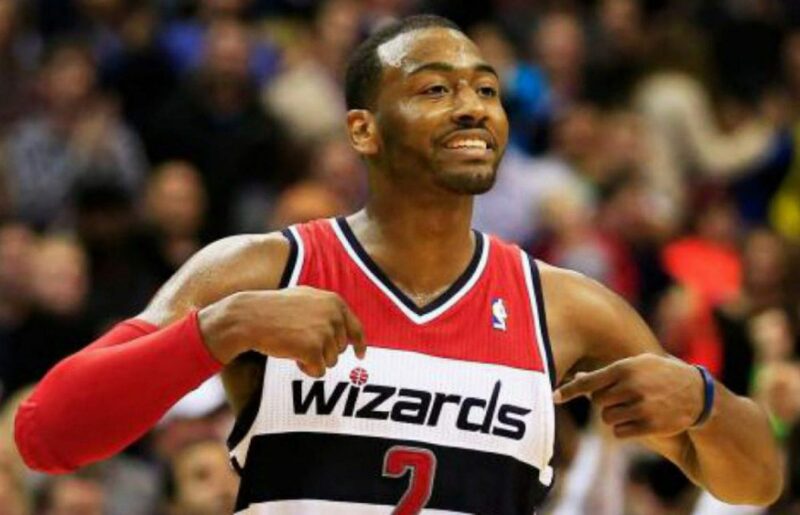 Next postThe Wizards hang on for their first victory, beat Hawks, 95-92.